High blood sugar in diabetes causes the lens of the eye to swell, which changes your ability to see. To correct this kind of eye problem, you need to get your blood sugar back into the target range (70-130 milligrams per deciliter or mg/dL before meals, and less than 180 mg/dL one to two hours after a meal). It may take as long as three months after your blood sugar is well controlled for your vision to fully get back to normal. Blurred vision can also be a symptom of more serious eye problem with diabetes. The three major eye problems that people with diabetes may develop and should be aware of are cataracts, glaucoma, and retinopathy..
• Keep your blood glucose and blood pressure as close to normal as you can. • Have an eye care professional examine your eyes once a year. Get this examination even if your vision is OK. The eye care professional will use drops to make the black part of your eyes-pupils-bigger. This process is called dilating your pupil, which allows the eye care professional to see the back of your eye. Finding eye problems early and getting treatment right away will help prevent more serious problems later on..
• Ask your eye care professional to check for signs of cataract & glaucoma. See if you are planning to get pregnant soon, ask your doctor if you should have an eye exam. • If you are pregnant and have diabetes, see an eye care professional during your first 3 months of pregnancy. Too much glucose in the blood for a long time can cause diabetes problems. This high blood glucose, also called blood sugar, can damage many parts of the body, such as the heart, blood vessels, eyes, and kidneys. Heart and blood vessel disease can lead to heart attacks and strokes. 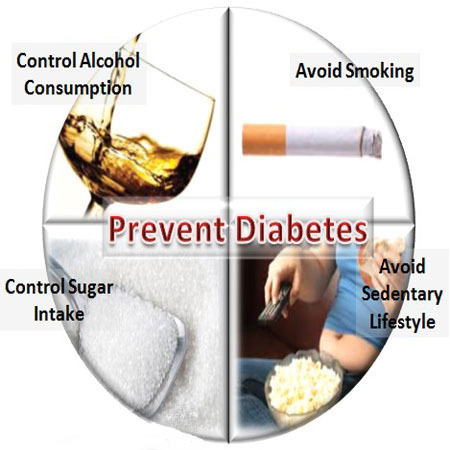 You can do a lot to prevent or slow down diabetes problems. • Retina: The retina is the lining at the back of the eye. The retina’s job is to sense light coming into the eye. • Vitreous: The vitreous is a jelly-like fluid that fills the back of the eye. • Lens: The lens is at the front of the eye. The lens focuses light on the retina. • Optic nerve: The optic nerve is the eye’s main nerve to the brain. Retina damage happens slowly. 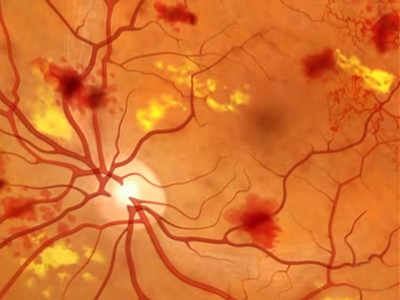 Your retinas have tiny blood vessels that are easy to damage. Having high blood glucose and high blood pressure for a long time can damage these tiny blood vessels. First, these tiny blood vessels swell and weaken. Some blood vessels then become clogged and do not let enough blood through. At first, you might not have any loss of sight from these changes. 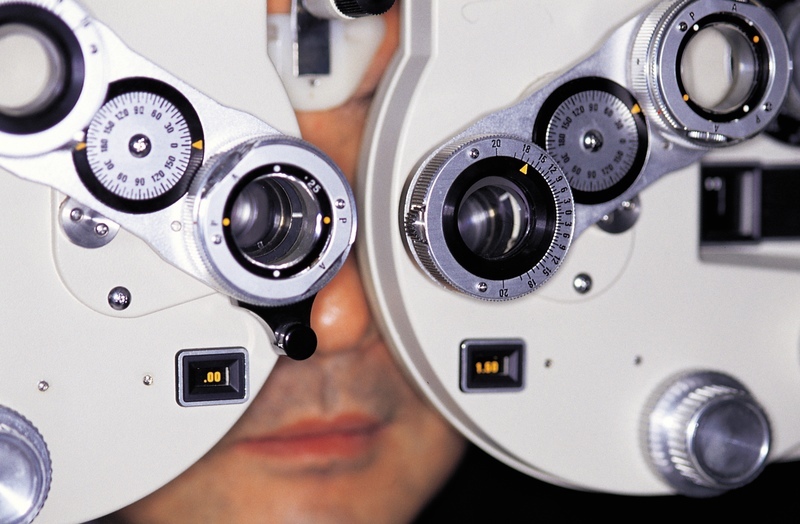 Have a dilated eye exam once a year even if your sight seems fine. • New blood vessels grow. • New blood vessels are weakand leak blood into the vitreous of your eye. • The leaking blood keeps light from reaching the retina. • You may see floating spots or almost total darkness. Sometimes the blood will clear out by itself. But you might need surgery to remove it. • Over the years, the swollen and weak blood vessels can form scar tissue and pull the retina away from the back of the eye. If the retina becomes detached, you may see floating spots or flashing lights. • Your eye care professional may suggest laser treatment, which is when a light beam is aimed into the retina of the damaged eye. The beam closes off leaking blood vessels. It may stop blood and fluid from leaking into the vitreous. • Laser treatment may slow the loss of sight.If a lot of blood has leaked into your vitreous and your sight is poor, your eye care professional might suggest you have surgery called a Vitrectomy. • Vitrectomy removes blood and fluid from the vitreous of your eye. Then clean fluid is put back into the eye. The surgery can make your eyesight better. You can get two other eye problems-cataracts and glaucoma. People without diabetes can get these eye problems, too. But people with diabetes get these problems more often and at a younger age. 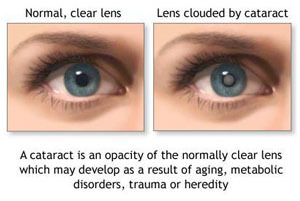 A cataract is a cloud over the lens of your eye, which is usually clear. The lens focuses light onto the retina. A cataract makes everything you look at seem cloudy. You need surgery to remove the cataract. During surgery your lens is taken out and a plastic lens, like a contact lens, is put in. The plastic lens stays in your eye all the time. 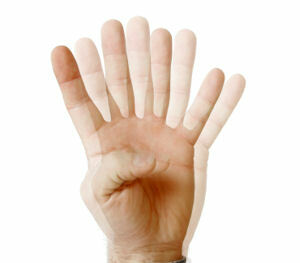 Cataract surgery helps you see clearly again. Glaucoma starts from pressure building up in the eye. Over time, this pressure damages your eye’s main nerve-the optic nerve. The damage first causes you to lose sight from the sides of your eyes. 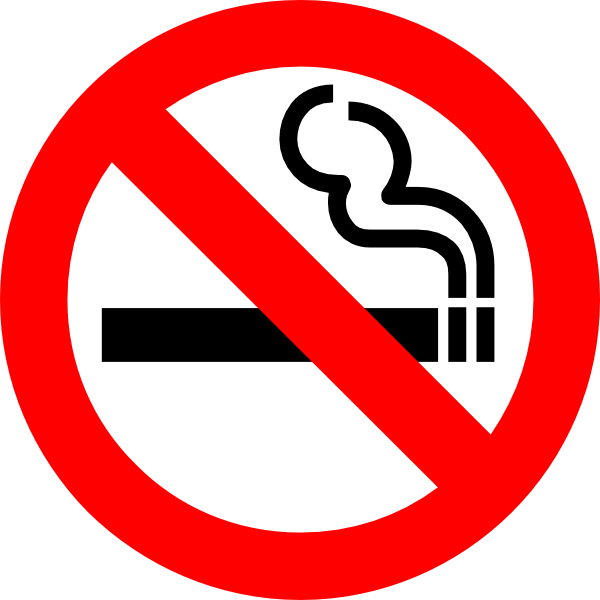 Treating glaucoma is usually simple. Your eye care professional will give you special drops to use every day to lower the pressure in your eyes. Or your eye care professional may want you to have laser surgery. Hospital was set up in 2007 by Dr. Amandeep Singh Arora, M.B.B.S., M.S. (Opthalmology), Vitreo retinal Surgeon working as consultant in Rajan Memorial Eye Hospital, Jalandhar. © Copyright 2015. All Rights Reserved by Arora Eye Hospital.